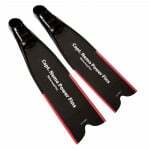 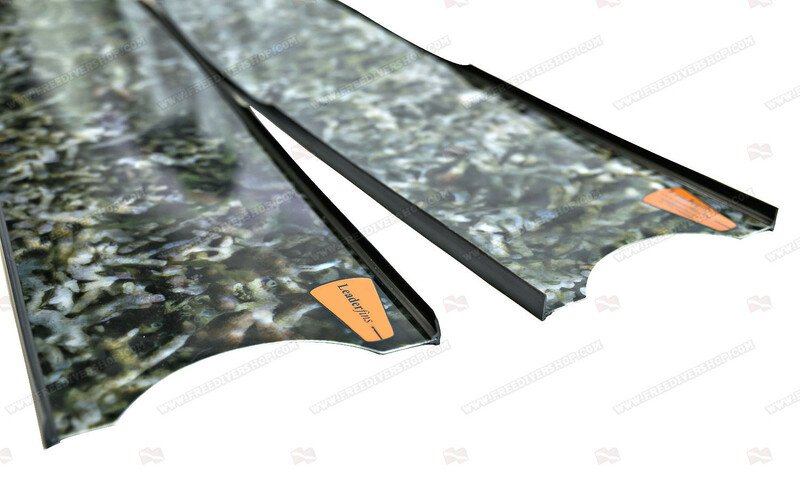 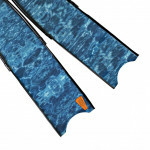 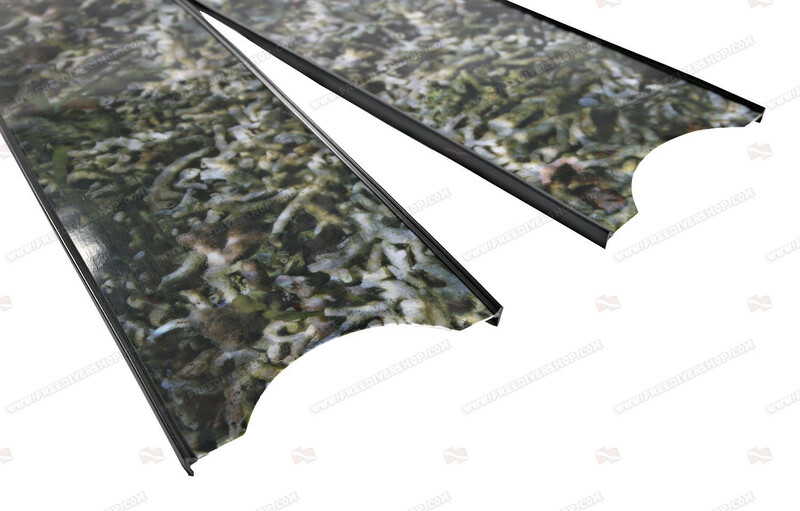 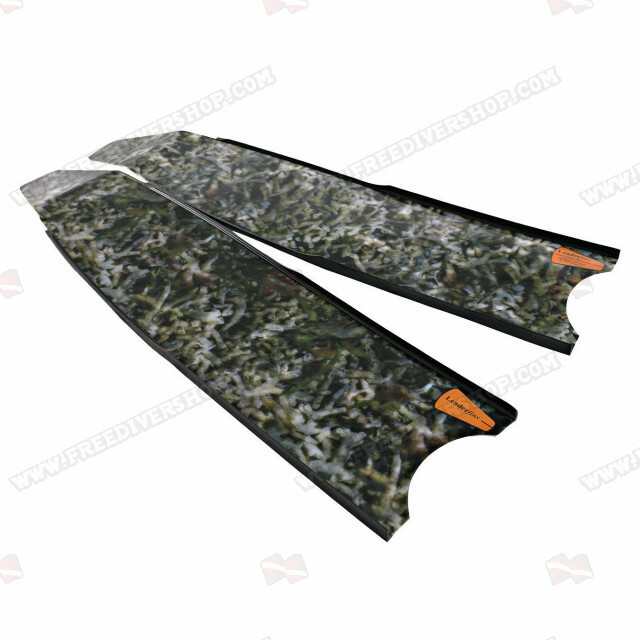 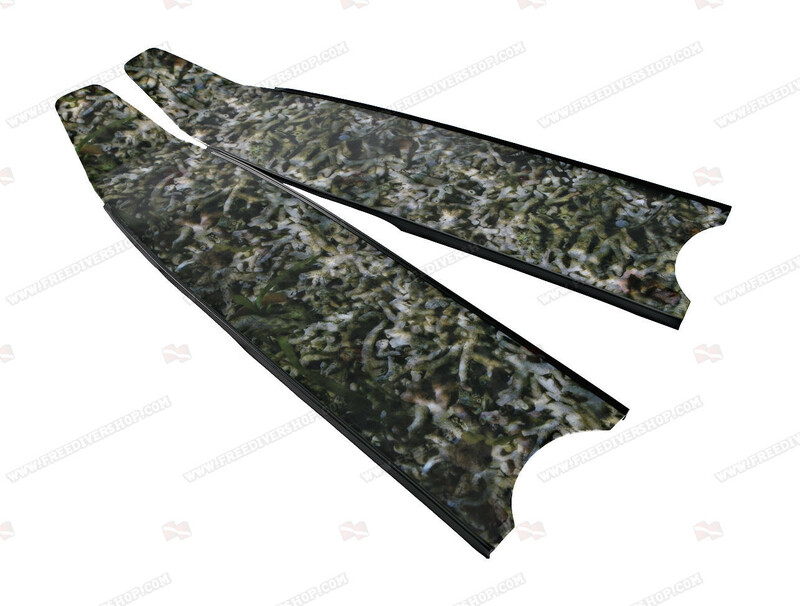 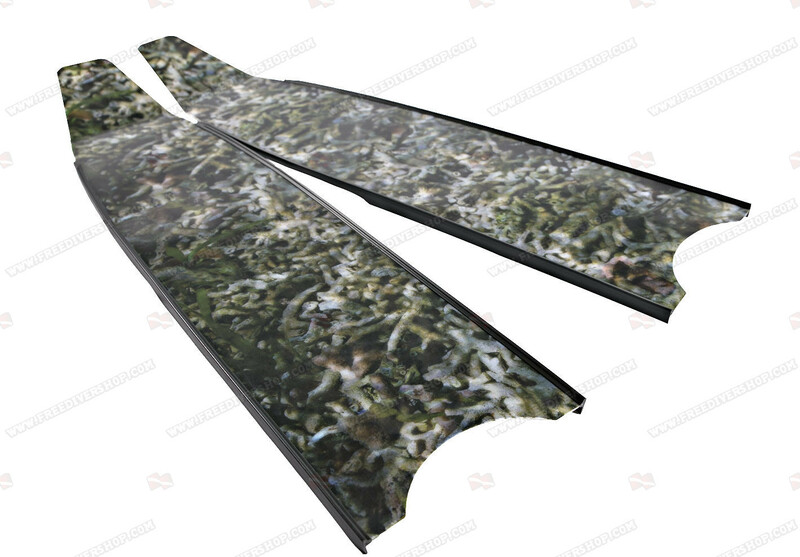 A pair of high quality alga 3D camouflage freediving and spearfishing fin blades, hand made from a high quality composite fiber mixture, processed under vacuum in molds. 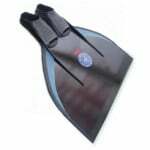 Equipped with full length rubber rails for maximum blade protection, hydrodynamic stability and silent movement underwater. 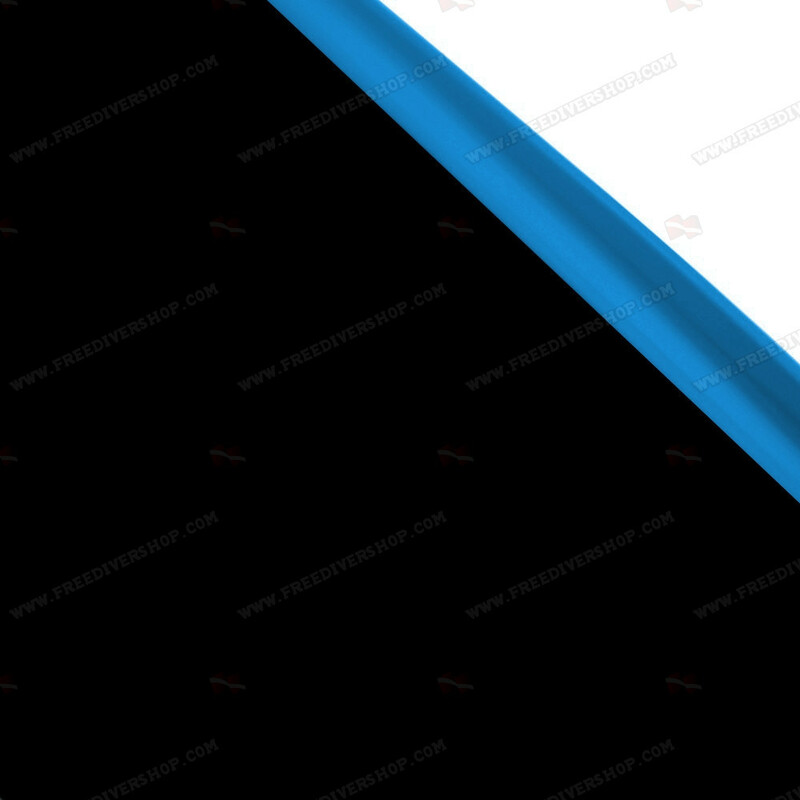 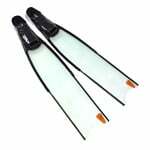 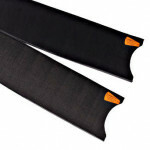 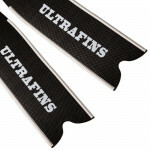 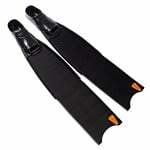 All Leaderfins blades are supplied with a one-year warranty for materials and craftsmanship.